I absolutely love buying foundations from the drug store. I have used a couple of higher end foundations like the Nars Sheer Glow and Georgio Amarni Luminous Silk however I find for the price I've paid for both of them I can find a pretty fab dupe in the drugstore. However foundation in general is something I have a very love hate relationship with. Sometimes I really love it as I love the glow it gives my skin and other times I absolutely hate it because of how my skin feels afterwards and depending on the foundation can cause me to break out. I bought this foundation just before I went to Mauritius however when I was in Mauritius I never wore make up for the entire time I was there and my skin was in absolute immaculate condition. However my job is one that requires us to always wear make up as we are always surrounded by people so we have to make sure it's in tip top condition. For the past few weeks this foundation has been my go to foundation. Keep on reading to find out why I love it so much. Rimmel is definitely one of my favorite make up brands. 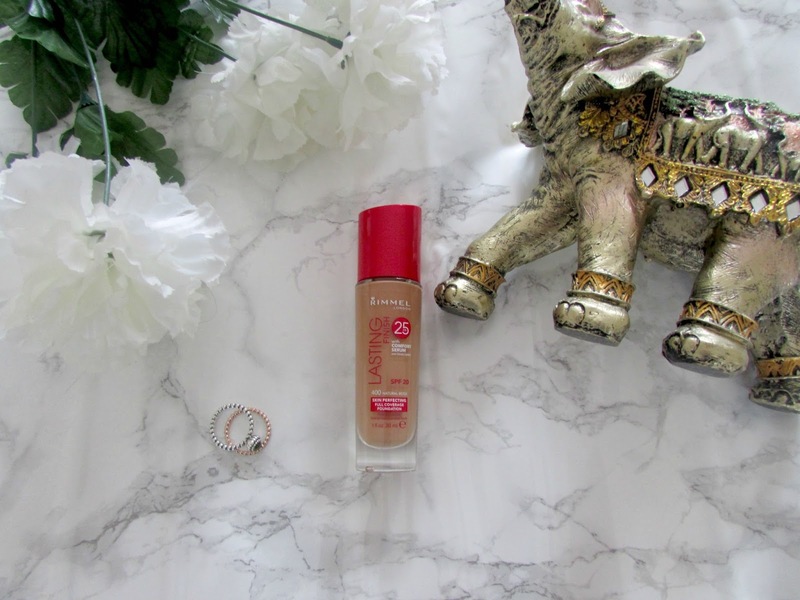 I love the majority of their foundations and I love their concealers as well so when I spotted this in Boots I knew that I had to pick it up as it's one of the few products from Rimmel that I haven't actually tried. The first thing I love about this foundation is definitely the packaging. I love that they've used a Red color for the packaging as it's very eye catching and easy to spot when you are looking on the Rimmel counter. I also love the fact that this foundation has a pump. I have a massive thing with beauty products that have pumps. I find that it is so much easier to control how much product you apply when you have a pump compared to foundations like the Nars Sheer Glow where you have to pour the product on your hand. I do have a pump for my Nars Sheer Glow but I had to pay for it separately whereas obviously with this it came already included. The main product is something that I am a huge fan of. This foundation has claimed to have 25 hours lasting power to it. Now I don't know about you but I definitely do not wear my foundation for 25 hours. I struggle to wear it past 10 hours if I'm totally honest so I'm not 100% sure on how much of this is true I'm afraid. I also decided to opt for the color number 400 which is Natural Beige. I'm this color in most things and they match really well however this is just that tiny bit darker than the other foundations I would normally wear. It's not that noticeable though and with a little bit of blending you'd barley notice it. This foundation also contains some comforting serum in it which I was instantly drawn too as I love serum like foundations. I'm a huge fan of the Bourjois Healthy Mix Serum so I was interested in seeing how this would compare. I love the feel and texture of the 'serum like' foundation as it's super comfortable on the skin. I find that my imperfections are smoothed and blurred out which is something I love. I find the serum in the foundation makes it easier to apply and easier to blend and stops it from going cakey as well. When it comes to the actual level of coverage I find it quite a buildable medium coverage. The foundation also contains SPF 20 which is perfect for protecting your skin and also from avoiding all those white faces when it comes to flash photography which let's face it, none of us like. I love wearing this foundation at work as I find it to be semi matte which is perfect as I don't like oily/dewy finishes when I'm at work and I find it stays this way most of the day and evening when I'm at work. Sometimes a little top up with powder is needed but not very often. It doesn't go cakey on the skin either which is one thing that is a must. If a foundation I've bough goes cakey on my skin it's a straight down no good in my books but this doesn't do that and it looks really nice on the skin which I love. I find that once I've applied this my skin instantly looks and feels more hydrated which is extremely good as I hate dry skin. Overall, I absolutely love this foundation and it's definitely one I've been reaching for just as much as my Bourjois Healthy Mix Serum. I find it super easy to wear, looks amazing on the skin and is just the perfect every day foundation in general. This foundation also comes in loads of other colors so I', sure there is something out there for everyone whatever your skin tone. You can get it from Boots for £7.99 or Boots are currently offering as 2 for £10 deal on selected Rimmel products which I find a pretty fabulous deal. Let me know in the comments below what your favorite drugstore foundations are as I'm pretty sure there a lot out there I'm yet to try. 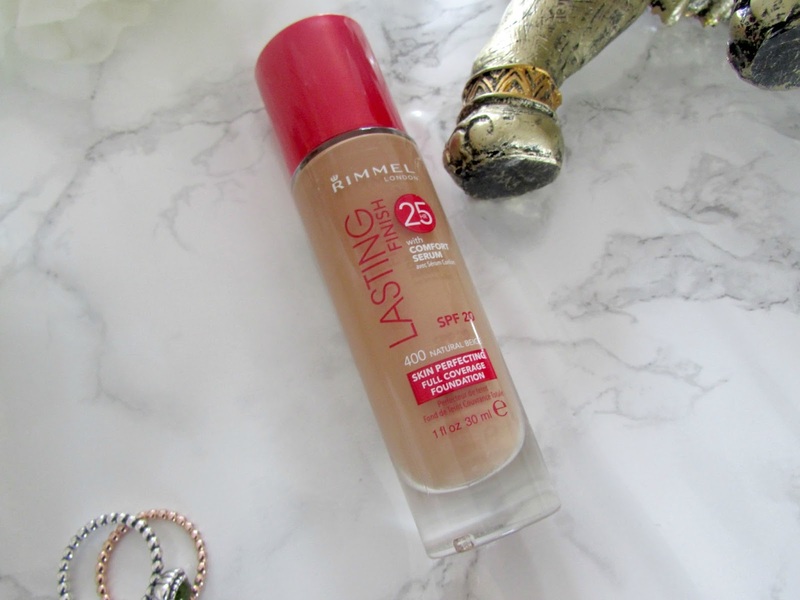 What are your thoughts on the Rimmel Lasting Finish Skin Perfecting Foundation? Drugstore foundations can be really good quality, to be honest I think foundation is always such a hit and miss product that investing in a high end one when you're not sure it's going to work for your skin isn't the smartest thing to do! 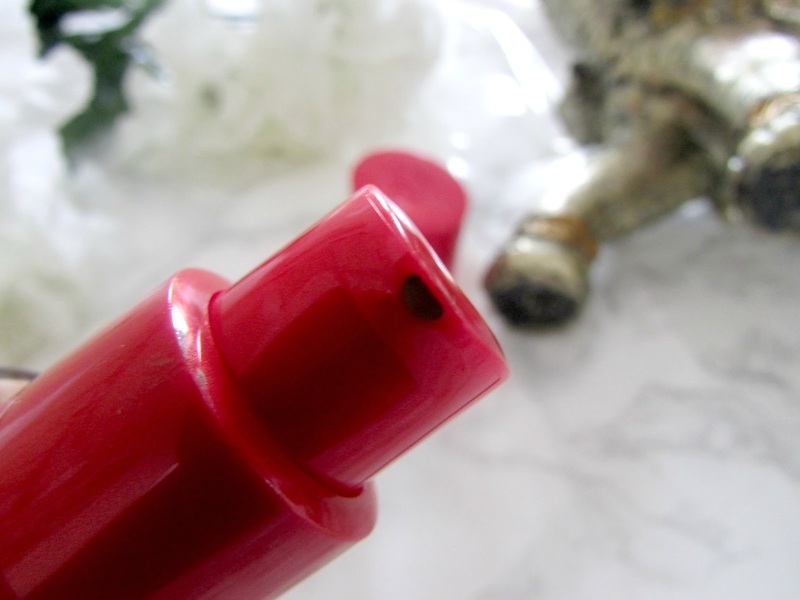 So you're right, there are a lot of good dupes in Boots! I would never wear makeup for 25+ hours either - that's insane! Definitely want to try this out one day - love foundations that come with a pump.